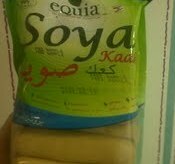 I tried the Soya kaak from Equia. So I thought of talking about it here! Soy has many health benefits! 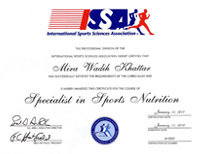 – It is efficient for our bones health, so it prevents loss of calcium from the bones. –Studies have shown that soy has an estrogen-like effect control, that’s why it relieves menopausal flashes and menstrual pains. –Soy reduces cholesterol and prevents plaque buildups in the arteries, so it is a cure for heart diseases. –Soy is efficient to prevent many types of cancer, especially breast cancer! – Soy is high in proteins and so is recommended for bodybuilders and for those who are on a high protein diet! It is cholesterol- free, trans- fat free, salt- free and with no sugar added! Every piece of soya kaak has 40 calories, so fulfilling and so tasty!